Like water like glass on a calm evening, I am rested, relaxed and in a state of total acceptance. I am aware of the busyness of the outer world, yet I remain unmoved from my center of peaceful contentedness. Calm is the gift I give to myself, and the gift I give to others, so they too, can find it within themselves. A gift to be given, and a beauty to be shared….calm is who I already am. 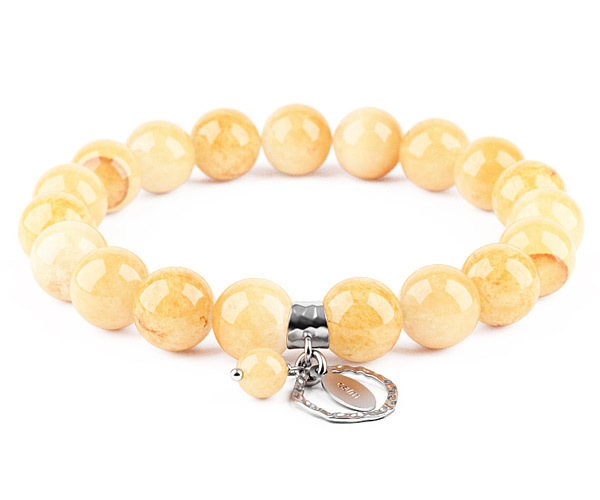 Yellow Jade: enhances emotional stability, brings balance, and inspires loving relationships. SKU: CALM-EB. Category: Women's Bracelet. Balance comes from the deep understanding that life is always in perfect rhythm. Balance keeps me in stillness, and away from needing to experience the extremes of life. Like the eye of a storm, I sit calmly and consciously in my center, immersed in my Divine purpose. With wisdom guiding my heart, I let go, completely absorbed by the certainty that all is well. I am surrounded by the loving energy of angels! Constantly providing eternal support and guidance, I trust that all of my needs are met and questions answered. Knowing they are here to help me to release my fears and doubts, I ask them for the strength to trust in what my heart already knows. I allow them to lift me up so I can hear my own wisdom and feel my connection to All There Is. 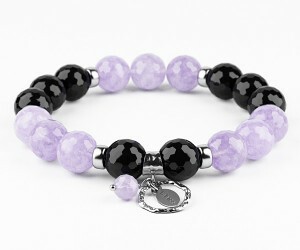 View our complete Essence Bracelet collection - HERE! Essence Bracelets has been created from our innate desire to help people discover themselves. We believe that true change must be created from within. We all inherit a tremendous gift waiting to be discovered. Our intention is to offer an inspirational set of tools that can aid with personal growth, development and healing. There is a spark for greatness in all of us. © Copyright 2015 Essence Bracelets. All rights reserved. 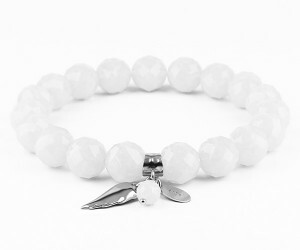 All trademarks, service marks and logos are owned by or registered to Essence Bracelets.